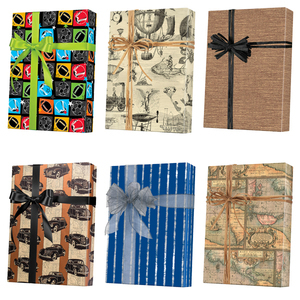 Masculine Gift wrap is perfect for him. Use this on his birthday, anniversary and Father's Day gifts. Many sizes available, full ream, ½ ream, cutter box and jeweler's rolls. Choose from different colors and patterns. You will find giftwrap from Jillson Roberts, Shamrock and Sullivan.